ONLINE COURSES, OR E-LEARNING, HAVE BEEN RIDING ON A STEADY WAVE OF SUCCESS FOR THE LAST DECADE. We have caught up with our partners, Chris Dando and Ryan King, as well as with our in-house e-learning developer, Alex Jinca to analyse the evolution of e-learning and how it can help answer today’s organisations’ training needs. What do you think are the top factors that make E-Learning so successful today? Chris: Corporate e-learning has grown considerably over the last 10 years. Larger budget allocations for e-learning programs and the growing demand for e-learning solutions that can accommodate a multinational audience are clear proofs of it. At Reinvigoration our team witnesses this trend every day: we have now been supporting individuals’ development in over 50 countries and counting. Quite simply, e-learning seems to be the natural answer to both the learners and their employers’ needs and this answer can be summarised in one keyword: flexibility. Today’s learners are used to flexible ways of working and expect the same flexibility when it comes to training. E-learning allows them to log in at a time that works best for them, with minimum disturbance to their forever extending ‘to-do’ list. Similarly, from an employer’s point of view, e-learning facilitates the organisation and delivery of a training programme across different areas of a business, ensuring the training is delivered in a fast and efficient way, with minimum disturbance to the business and its clients. Think about the last time you tried to organise a meeting including managers of different departments. Did it quickly become a real headache? Organising the delivery of a training programme can be particularly difficult, especially if some of the learners involved are not office-based or are based in different countries. These added complications can considerably slow down the delivery of the training and have a strong impact on the business. E-learning is the perfect solution to all these challenges; and as an added bonus, it allows for a faster delivery at a lower cost and with a lower environmental impact. What’s not to like? Ryan: You’re right, e-learning is a no-brainer in a lot of cases. We have seen it with many clients who struggled to provide a standardised training solution across multiple teams around the world, in a set timescale. E-learning ensures that the same standard is shared everywhere within a short period of time. But to me, the success of e-learning doesn’t only lie in the method itself. The technology behind the programme built has considerably evolved, allowing us to provide a richer, and more varied content, to the direct benefit of the learner. Chris, you mentioned flexibility. For me quality is another key factor of the success of E-learning; quality of the delivery and of the content. Alex: Yes, flexibility and quality. E-learning has evolved considerably over the last 10 years. The emphasis is really on making sure the learner is focused and has to participate during the training. That’s why we use various medium, such as videos, games, online exercises, etc. In my opinion, an e-learning course is successful when it is developed with the learner in mind every step of the way, from the structure of the course that needs to be easy to understand and navigate, to the content itself. Todays’ learners have less and less time to dedicate to training and highly visual and short sessions seem to work best for them. Chris: The growth of the Millennials (or Gen Y) in the workplace, the imminent arrival of Gen Z’s and the increasing use of technology both at home and in the workplace, these are all three factors that will definitely stimulate the demand for e-learning. One only has to look at the phenomenal success of gaming in recent years to see that in today’s digitally connected age, it can seem absurd that we are not using similar tools, that have proven to be powerful drivers of engagement, to increase the success rate of training courses. Employers want to know that their L&D investment will pay back and that’s why they rely more and more on e-learning. There is still sometimes the stigma that e-learning equals bite-sized learning and cheap training programme. This is simply not the case anymore. It is now trusted as a reliable method to train employees as part of their apprenticeship or at BSc level. Universities use it as an excellent distance-learning programme up to Master Level. and it is time to say goodbye to classic face-to-face training sessions? Ryan: Not at all. Classic training courses are still relevant, especially when delivering to a dedicated team. Take a course on Operations Management for example; if the reason for the course is to increase productivity and performance within a specific department, a classic face-to-face training course will allow all the managers to focus on a shared solution together. They will learn by integrating the challenges they experience day-after-day as part of the training session. But this will not only help them to learn, it will also enable them to find efficient solutions they can put in place as soon as the training is over. It’s a definite win-win for the employer who will benefit from a more engaged and efficient management team. This result would be more difficult to achieve with an e-learning session. 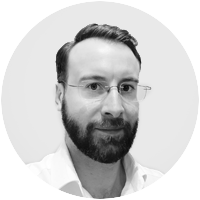 Chris: To be honest our experience working with service organisations, public or private, has proved that the best results are achieved when using a blend of training, coaching and classic consultancy. We don’t distinguish between e-learning and classic face-to-face training courses because they both have their own place in the plan we build to answer our clients’ own operational challenges. Let me give you a concrete example of this: introducing change and transformation in any organisation is always a bit delicate because people rarely welcome change; that’s part of our nature as human beings. So, one of the most important factors that will contribute to the success of a change programme is to first explain why it is important that the change, however small or large, occurs. We often use e-learning at this stage because it can be an effective communication and change management tool before change programmes commence. Giving employees some awareness and education of the change can help provide them with a real understanding and rationale for change. Here again, e-learning works as part of a blended solution. On the same basis, Reinvigoration offers e-learning based on lean awareness and other operational excellence approaches to support wide-spread understanding and people involvement during consulting assignments with our clients. These e-learningsessions can be taken on their own, or as part of a wider approach, depending on the learners’ individual needs and the organisations’ requirements. Alex: E-learning and the more classic face-to-face training sessions can also work hand-in-hand in a different way. It can sometimes be helpful to integrate e-learning applications within the agenda of a face-to-face training session. Not everyone is comfortable asking questions in the classroom, or taking part in live exercises. E-learning is perfect for those introvert learners who will be able to take the online exercises with the reassurance that no-one but them will be able to see their answers. This probably explains why e-learning has such a high success rate. After all, taking on a training course and an exam can be quite stressful and the online experience helps to take some of that stress away, by being able to quickly re-sit an exam and get some live feedback on the answers given by the learner. One word to finish: which challenges lie ahead of online courses? Ryan: Technology, without a doubt! Softwares and devices become obsolete much faster nowadays and this causes a real challenge as online courses need to adapt at the same pace. There is also a growing need for online courses to be accessible on-the-go, which of course implies that they need to be responsive. Add to this the emergence of social learning and you soon realise that online courses are getting more and more complex to build. Chris: You’re completely right and personally I would add that collecting learning analytics is also going to be a complex but crucial element for our clients. E-learning softwares are designed to provide the learner with the best user experience possible but not necessarily to allow for an easy access to analytics. This, combined with the fact that the data will have to be synchronised from various sources (devices, browsers…) will only add to the complexity of the task… An interesting challenge to look forward to! Find out more about our online courses by visiting our E-Learning page or alternatively contact us to discuss your bespoke requirements. Ryan King is a Partner at Reinvigoration. He has a passion for people development and supporting real business improvement. You can get in touch with him directly by E-Mail or connect on Linkedin. 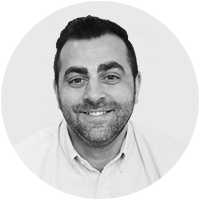 Chris Dando is a Partner at Reinvigoration. He is passionate about understanding the operational implications of the growth of the Millennials (or Gen Y) and the imminent arrival of Gen Z’s in the workplace. You can get in touch with Chris directly by email or connect on Linkedin. 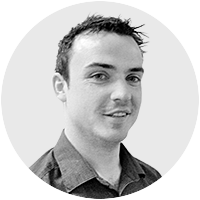 Alex is Reinvigoration’s in-house E-Learning Developer. 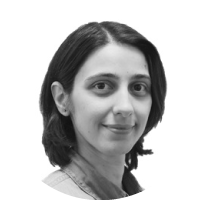 She is passionate about designing and developing innovative online courses that truly respond to the needs of the learners and their organisations. You can get in touch with Alex directly by email or connect on Linkedin.